This is the second installment of one of twelve short stories from “Christmas on Pleasant Hill”, available from Amazon. Half of all the profits from this book are donated to 3Cs Nursery School. To read the story from the beginning, click here, then come back to this post to continue…. The last time Charise had seen her cousin, Tanya had been running barefoot through Grandma’s garden into the night, none too steady on her feet. Charise had been in college, Tanya was a junior in high school and Charise had taken her to a party in Clifton. Charise, in a calculation she would never have made sober, had decided to bring Tanya back to Grandma’s, where she had been living since her parents kicked her out. She wanted to introduce Tanya to cocaine in a safe place, and had figured that Grandma and Grandpa would be asleep on the second floor, too far away to hear anything. They had tiptoed giggling through the house, more loudly than they realized, and gone through the French doors in the dining room onto the back patio. On a glass table under the porch light, Charise made two wobbly lines of powder. They were poised over it with straws in hand when a shadow fell across them. Grandma stood there in the doorway in a white robe and turban, silent and flint-eyed as the angel of death. Tanya leapt out of her chair, grabbed her stiletto heels and took off barefoot through the yard, apparently preferring to risk the wrath at home rather than stay for Grandma’s. Grandma, still screaming, “How dare you!” swiped the table with her arm and the cocaine disappeared into terrycloth and thin air. She finished the swipe with a shove that nearly knocked Charise over. She was too stunned to react. Grandma had never even given her a mild spanking. While Charise was still in shock, Grandma grabbed her purse and took off through the dining room. Charise sprang after her like a tiger – there was $200 and more cocaine in the purse. She picked up a phone and dialed three numbers. Charise grabbed at the purse. Grandma dropped the phone to hang onto the purse, and the two of them struggled there by the kitchen door. The women picking cotton smiled down on them, until Charise, wrenching the bag away from her grandmother, scraped the purse’s buckle right into the picture, dragging it across the face of one woman and the upper body of another, piercing through a smile and a heart and a bag of fluffy cotton. Grandma sank to the ground, sobbing. Charise ran up to her room, grabbed her stash of weed, a bigger bag, threw in some clothes and shoes and ran out of the house, beating Grandpa, who was now running toward her from the dining room, to the front door. She ran south all the way downtown to the bus station, and took a bus to Nashville just after dawn. The whole scene played again, as she stared at Tanya’s note, and the guilt washed over her in waves that made her clench her teeth. She had never seen Grandpa again – he had died two months later. She had been so wasted at the funeral she could barely remember it. Damon had driven her up, steered her through it and driven her back to Nashville all in the same day. How had she let another year go by with no contact with her Grandma? Grandma had written and invited her to Easter and to Thanksgiving and to Christmas, but she had been too ashamed and afraid to go home. Now it was too late. She wanted a drink. Screw recovery. She looked in every cabinet but there was nothing on the property. She grabbed her keys and headed north toward the Kroger. On her way, just before the intersection where Grandma’s church was, she saw a lit-up old house at the front of a hospital property. She could see people through the window. She remembered hearing it was used for twelve step meetings. The meeting had, as they say, restored her to sanity. The next day was Sunday. She went to church. It was the closest she could come to being with her grandma. She was not, however, ready to face up to Grandma’s friends, so she sat in the back row and planned to slip out during the final song. That got her attention. She watched him approach, hoping he wasn’t a pastor. He might be. He was an older white man, kind and well spoken, with friendly blue eyes and a smile. “Yes.” She wondered how well he knew Grandma. Well enough to know what a screw up her grandaughter was? “Yes – a few months ago. We’re pretty sure it was one of the places people hid when strangers were seen coming up Hamilton Pike. You see, there was a warning system. Homeowners further down the road, and students from the Ladies’ College and the Farmers’ College, would keep a lookout and send messages to the safe houses. Then they’d hide slaves in basements or attics or sheds when the owners came looking. Your Granma was sorting things in the attic and she uncovered a false wall that could be slid sideways in the attic, and there was a little room back there with blankets and books…it was so exciting!” His enthusiasm was hard to resist. Charise asked, “You wouldn’t have time to show me now, would you? Mr Grant shifted the wall panel, enough for them to squeeze into the dormer space. There was an ancient curtain on the window, its small flowers almost faded out. Covered in plastic, there were old brown wool blankets, a Bible, a book of fairy tales and two history volumes. Grandma, always orderly, had laminated a page of writing and placed it on top of the blankets. Charise read the note over and over, unmoving. Mr. Grant shifted awkwardly. After he left, she sat on the small back stairs of the house, the ones servants used to use. It was where she went to be alone as a child. Now, her mind was pierced with images of those runaways, hurriedly being smuggled up these stairs – ragged, wide-eyed people smelling of sweat and fear. She followed the images up the stairs, back to the little room. She sat on the floor facing the dormer window, which looked down on the garden. She re-read Grandma’s note. When an occupational therapy student showed up at our tutoring site last year with three drawers full of stuff that looked like toys, and told me they would help students with their reading, I was skeptical. One drawer was labelled ‘calming’ the other ‘alerting’, and the other one had what looked like a big sock full of rice or beans or something. The calming drawer was full of stress balls, squishy toys and colorful little things to fidget with. I took one look at it and imagined all that stuff flying through the air, books and reading abandonned to a free-for-all. 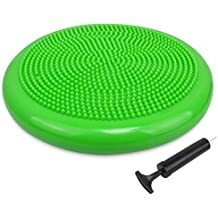 The alerting drawer looked even more problematic – gum that could end up stuck under tables, more distracting fidget toys, and a big inflated ‘wiggle seat’ with soft plastic spikes that I figured no self-respecting kid would be caught dead sitting on. Turns out, I was dead wrong to be so cynical! We did have to be strict about not letting kids use the objects to play with, just to hold them while reading, but pretty soon I was hearing stories of how different gadgets were helping kids focus. Then my nephew came over to my house and saw the wiggle seat, which I hadn’t even taken to the site yet, and said, “Oh those are really cool. We get to sit on them at reading time at school.” Get to – shows how much I don’t know! So now I no longer mock the Whiz Kids Sensory Tool Kit. 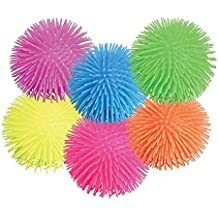 Our site has hyperactive kids squeezing squishy balls as they read, tired kids sucking mints and little kids using colored film strips to underline their words as they read. We even use the spiky cushion. Last year, these kits were researched and put together by Jillian Cloud, OTD, OTR/L, as part of her doctoral program. Children can have a range of sensory processing issues that interfere with learning – trouble focusing to over-sensitivity to noise or touch. The handbook that Jillian wrote for tutoring sites not only explains the best use of the tools, it also includes a long list of calming strategies, ideas for taking quick breaks, and suggestions for improving sensory processing. A helpful chart, called “Zones of Regulation”, gives tutors a way to guide students to identify how they are feeling and what their level of alertness is. In the green zone, they are ready to learn – happy, calm and focued. In the blue zone they are sad, sick, tired or bored. In the yellow zone they are frustrated, worried, wiggly or excited and in the red zone kids are angry, scared, yelling, hitting or elated. Picking a zone helps kids see whether they need to do something to help get themselves under control. When you only have an hour a week to make an impact on a student’s life, these little toys are making a big difference. Focusing on what is right about ourselves and the people we work with is key to both success and joy. This is a truth that runs deep, but cynical people like me think, “Right – I’m trying to work with a kid who’s cussing me out and running away from me and I’m supposed to concentrate on her bravery and zest? Yes, as a matter of fact. Yes I am. That doesn’t mean I don’t pull a consequence on her for cussing and running, but during and after the incident, I will employ my strengths to stay connected to this child and call out her strengths. This will keep me from quitting kid ministry! The Mayerson Academy in Cincinnati, which trains and supports learning communities, has employed research findings in the field of positive psychology to give educators character strength curriculum all over the world. They use a 120 question inventory from the VIA Institute on Character to help us discover our character strengths. Click here to link to the survey. Just knowing what we’re strong in can help us channel our efforts more successfully. Then we’re equipped also to teach kids their strengths and help them succeed. In a tutoring setting, we can teach character strengths as vocabulary words, we can discuss examples of them that we see in others, we can play games that put them into practice, we can tell our students when we see one in them. Relationships grow stronger in the process. We also teach kids that they can change, so if a lack of strength is causing them a problem, (say in honesty or perseverance or kindness) they can work on it. The model does not say we are limited – it names twenty four character strengths, stressses that we have them all, and helps us focus on and use what we are already strong in, while knowing that we can grow in the other areas. If you’re operating in a Christian setting, you can also teach that we need God to help us with these changes, and God is always there to help us and work in us. So, for example, I call on my creativity, social intelligence and spirituality to hang in with my angry cussing and running little girl; I pray for her, figure out what’s setting her off and imagine what it would be like for her to give me a hug when all this is over. Just to finish the story – I didn’t get the hug, but she did end up thanking me once, and I did manage to get her to cooperate with us by bribing her with snacks! Success is incremental, but leaning into strength instead of focusing on all that’s wrong is a really important discipline in any kind of helping work. Some people are especially fond of books. I’m told that as a little kid I used to fall asleep with a Little Golden Book on my face many nights. But even people who are not naturally crazy about reading can be taught the value and joy of it through example. The trick with tutoring is to be strict enough to get to work, but to make it fun enough that students associate reading with a good time. Tell kids how important reading is, how every part of school will be easier once they know a lot of words and can read smoothly. Tell them you want them to become great readers, and learn as many words as possible. Tell kids stories of how much of a difference reading has made for you or someone you know. Tell them all the things you like to read. I like to tell a story of Ben Carson’s, from his book, “Gifted Hands” . The famous neurosurgeon grew up in poverty with a single mom who did not have much education, but she knew the value of reading. She made her boys read two library books a week, and he believes that had a great deal to do with his success in school. I know this is unenlightened, but we’re shameless about giving out candy rewards. I bring a big bowl of mixed varieties, and tell tutors to use it as incentive in any way they want. We give kids candy for memorizing verses, for hitting fluency goals, for finishing assignments – whatever it takes. We let kids who finish their reading tasks for the session do something fun that is word-related, such as reading a picture book to them that they’re interested in, or doing a crossword puzzle or word search. We give students lots of affirmation for any progress they make. This is really important. Find something to affirm, even if it’s only that the kid listened for a whole page without interrupting, or stayed in his seat for ten minutes. Look for positives and look for improvement and call it out every time. Many kids who struggle in school get more negative feedback than positive, and they need their hope and confidence rebuilt. We invite families to three sessions a year, where we serve dinner, play some fun games, and tell parents and grandparents how well the students are doing. It means a great deal to a child that their tutor cares about and has talked with people in their family. There is nothing better to see than a kid’s face light up when they have successfully read a book. It makes it all worthwhile!